Betting on sports ultimately requires you to act on an opinion. Whether you are a fan of a particular team, if you rely heavily on analytics, or always put your money on superstars, everyone ultimately bets on the factors they believe will dictate the outcome of the game. 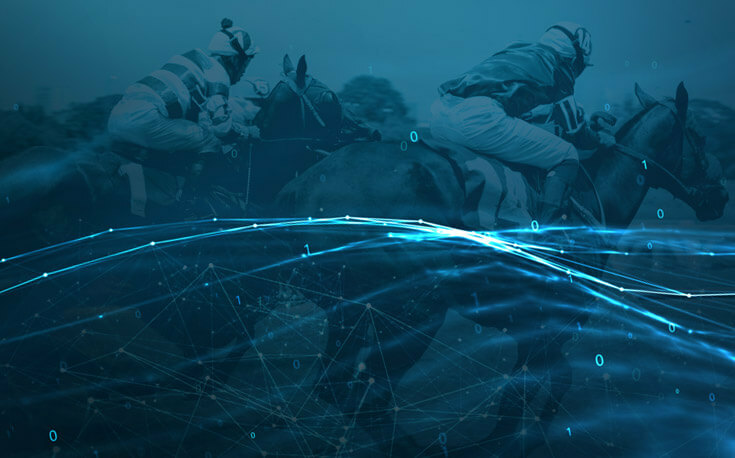 Horse racing is ultimately the same as conventional sports in that you need to be successfully predicting the winners in order to make a profit. But what are the key factors of betting on horse racing? In this guide, you’ll learn the key horse racing betting tips based on the type of horse race. Perhaps the best way to look at the various different types of horses races is to compare it to track and field. In track and field, there are sprints performed over varying distances and on a wide range of surfaces. For example, Usain Bolt might perform well in a marathon, but we know his specialty is the 100-meter race. As for the various types of horse races, let’s go through a few of the big categories and try to make sense of them. Thoroughbred races can be run in as quickly as 45 seconds or as long as a few minutes depending upon the length of the race and quality of the horses. The shortest races are run at four furlongs, and often are contested by horses just starting their career. A furlong is one-eighth of a mile. Rarely are races run at more than a mile and a half. The most popular horse race length is a sprint. Races at seven furlongs or less are considered sprints. The huge majority of sprints are run at six furlongs, three-quarters of a mile. While there is a strategy to sprints, of course, it’s essential that horses get off to a good start. Sprint races have just one turn, so getting a good position (not too wide and with enough space to make a move) around the bend is vital. Exercise caution when betting on horses that are moving from a longer race into a sprint. Tactical early speed in a longer event where you need to pace yourself is not necessarily the same as the blazing speed you need from the get-go to win a sprint. Route races, or distance contests, almost always have two turns or more, and involve more finesse and strategy. It is important to know where the starting gate is placed for these races because sometimes it can be pretty close to the first turn, a major challenge for horses on the outside. A horse that gets stuck three or four wide on a turn means that they’re forced to cover more distance during the race. The pace of a route race is extremely important. If things are slow early on, it allows front runners to save their kick for the end, making it hard to pass them. A quick tempo benefits horses trying to come from behind because the pacesetters tire themselves out. There are three types of racing surfaces: dirt tracks, grass (turf) tracks, and synthetic (artificial) tracks. Each of them presents unique considerations for bettors. While dirt races are the most predictable, not every dirt surface is the same. Some dirt tracks are very hard, almost like cement, and that tends to make them fast and good for front runners. Other dirt tracks are deep and moist. Different horses prefer different courses because each can cater to their particular running style. If a horse is going to win wire-to-wire, taking the lead from the start and never looking back, will generally benefit from hard service they can glide over. Horses coming from behind, particularly those coming from the rear of the field, appreciate softer surfaces that tire out the early pacesetters. Because dirt is the most frequent venue for racing, we have the most information about dirt racing and it is more predictable and consistent. Front runners, or at least horses near the leader through most of the race, tend to win the majority of dirt contests. Horses trying to make up a ton of ground often fair better on grass. Grass (turf) racing, which is incredibly popular in Europe, is more of a niche in North America. Turf racing often starts at a snail’s pace and is a cavalry charge down the stretch. In other words, everyone takes it easy at the start, jockeys for position, and tries to set up a sprint to see who wins down the stretch. Looking at a horses lineage is a great strategy to apply on the turf, as families that do well on the grass tend to repeat that preference generation after generation. You can apply the same logic to jockeys, as certain jockeys excel on turf. Artificial tracks were all the rage about a decade ago, with the thought being that they were safer for horses to race on. However, that concept has proven to be inconsistent, and the number of tracks that employ synthetic tracks is small. Each type of synthetic track, of which there are several, play differently. All of them from time to time produce bizarre results that end in huge payouts. Make sure to study whatever track you are betting carefully. Very few races are open to any horse who wants to enter. Often boys run against boys and girls against girls, and frequently two-year-olds run against each other, three-year-olds battle each other, and everyone else (four-year-olds and up) compete. Of course, each of these scenarios presents new factors for bettors to take into consideration. There are a variety of different types of races that try to group horses who are relatively speaking on an even playing field. Horses who have never won a race are called maidens. Once you have won a race you are no longer eligible for competition against maidens. Because maidens can be debuting or often have run in a small number of races, paying close attention to bloodlines and human connections (owners, jockeys, trainers) can be a wise way of handicapping these races. A horse running in a claiming race is available to be purchased. If a prospective owner puts in a claim and it is accepted (it will be accepted if an owner is the only one who puts in a bid for the horse or if there are multiple bids if he wins a coin flip or roll of the dice) the horse will run under the old ownership in the race he is entered in that day. Thereafter, the horse becomes the property of the new owner following the race in which he was claimed. An angle to look for in claiming races is “first-time claimers.” These are horses that have never been available for purchase before, but now the ownership group is risking that someone will buy them. The ownership group does this in an attempt to win a race against what usually is a somewhat less accomplished field than horses not available for purchase. Conversely, horses stepping into a higher priced claiming race, where the cost to buy the horse has gone up, are generally facing tougher horses. Therefore, the challenge of winning is greater for these horses than in their prior races. Horses who have broken their maiden (won one or more races) and are not for sale run in allowance races. These races have a set purse and often come with restrictions in an effort to make the race competitive. Horses that previously ran against only three-year-olds, but are now racing against older horses are going to find the new category more challenging. Female horses that usually run against other females, but are suddenly facing males may also encounter a similar increase in difficulty. The best horses run in stakes races. The best of the best run in Grade 1 races, while Grade 2 and Grade 3 races are also contested among high-tier horses. Listed stakes have large purses and are for horses running against the best of non-graded competition. A Tip a Day Keeps the Sportsbooks at Bay! Sports betting is always a learning experience (whether good or bad), and with the right research and preparation, it can be a highly profitable enterprise. The more you know the better your chances of success. Brush up on all the information on whatever sport you are interested in and learn how to bet on sports!